Credit: AmazonPadraig, himself, wouldn't recognize the current state of affairs. He would, however, bless the attempts at fomenting brotherhood and conviviality. In his honor, here are a number of little known facts about your man to further your enjoyment and to start one of those conversations. While many saints are recognized to be the compilation of the words and deeds of multiple men, Saint Patrick left behind a fairly authoritative account of his life in his letter, the Confessio. He was born to a religious family but his faith was not solidified until his seizure and imprisonment by pirates. He was born in Britain. Say it isn’t so, Bridgid. The love/hate relationship between the peoples of Ireland and England has mellowed somewhat in recent years. Still, the birthplace of St. Patrick is always a bone of contention between the two. Nevertheless, there is little doubt that he was born in Roman Britain as the only two authentic letters written by him state this fact unequivocally. The Irish enslaved him, twice. As a child, Patrick was captured by Irish slavers, transported to Ireland and forced to work as a herdsman until his escape after six years. Subsequently, Patrick traveled to Britain and France and began a life devoted to education and theology. He eventually returned to Ireland as a missionary. His refusal to swear obeisance to any king or laird left him with no protectors or powerful friends and he was again captured, enslaved and almost executed. He is not the patron saint of beer. That’s Saint Arnold but that‘s another story. Instead, Saint Patrick is the patron saint of Ireland. As such he is lauded for his piety and for his evangelism in bringing Catholicism to Ireland. He baptized countless of the faithful, ordained hundreds of priests and convinced many women from every walk of life to renounce the earthly world and become nuns. He really did drive the snakes from Ireland. Well, maybe not. Nevertheless, there are no snakes in Ireland and St. Patrick gets the credit. He also started the tradition of wearing a shamrock. 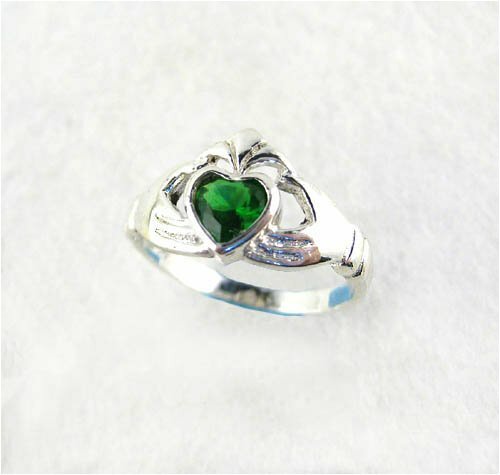 Though he identified it as a symbol of the Holy Trinity, it has become a more secular representation of Saint Patrick’s Day in modern times. He wasn’t born on March 17. Actually, March 17th is recognized as the day he died. Saint Patrick was added to the saints in the Canon in 493. Loved and admired in life, so too was he after death. In fact, so esteemed was St. Parick that two armies fought a battle for the right to carry and bury his body. This argument gets technical. First the Catholic Church does not create saints, it merely recognizes them. They do this through a process called canonization. The Catholic Church keeps very good records and there is no doubt that St. Patrick was never canonized by a Pope. However - and it is a very big however - St. Patrick is on the List of Saints. This document, also kept by the Catholic Church, enumerates people who are, for all temporal intents and purposes, a saint. There you have it. Seven good reasons to start an argument and resolve it over a pint. For some more interesting trivia about beer and Ireland try this article about Guiness Stout. In any event, enjoy the day and enjoy the craic. Thank you, sir. I hope to return the favor. Didn't St Patrick bring Christianity to Ireland, rather than Catholicism? 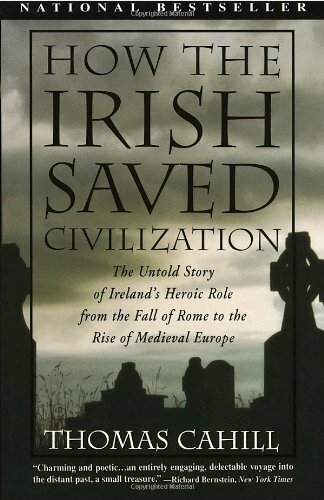 I read that the Irish only converted from their Christian faith to the Roman Catholic in about the 16th century. Mostly to annoy the English, who had just gone Protestant. If you were a Christian in that era you were Catholic by default (there were only a handful of Christian cults and some schismatic organizations). There was nothing else of merit at the time in the realm of Christianity. All Irish were Catholics -- England's creation of a Protestant religon, the Church of England, that also became the relgion of state was the dividing factor between the two isles (that and home rule issues). The goofier religios fundamentalist stuff came later. There was no other Christian faith in Europe before the Protestant Reformation. Everyone recognized the Pope in Rome as the head of the Church. The word "catholic" means universal and was applied to the church members as a whole. St Patrick introduced this faith, with the Pope as head, to Ireland. Great job on this article and congrats on making the feature. I had heard the bit about St. Patrick supposedly driving all the snakes out of Ireland, but was not sure if it was just a fable. Great selection of pictures! Great article! I wasn't even sure if he was real, and now I know so much about him and St. Pat's day. Great article! Congratulations on the feature. You're absolutely incorrect. You suffer from a certitude that the Church does not share. The Catholic Church recognizes its own inability to be perfect; a trait that atheists should, but hardly ever do, emulate. There are saints everywhere, as I'm sure you would argue, if you took even a minute to think about it. The Catholic Church understands that it would never be able to find them all. Thus, God creates saints and the Church merely recognizes some of them. Your facts are also wrong as St. Barbabra and St. Valentine are both in the Catholic canon. As for your opinion, and I quote, "In the same way an artist is not a legitimate artist until someone else confirms that fact," Holy cow, man. (not the phrase I would normally choose). Engage your brain before you type. I won't remove your post. I find that the the ignorant do the most harm to themselves. Thanks for the thumb. That was fun. I'm not going to flame you here publicly, since 1) that's NOT I was doing above, and 2) it's counter-productive, and I would only end up humiliating and embarrassing you, which was not my intent in the first place. I courteously gave you my apathy about leaving the comment or not, since I did not have the wherewithal to PM you as we are not "friends" and I didn't see the point in adding to my â€œfriendâ€ pile just to get some info out there. I expected you to remove it, but I don't mind if it stays. . I wrote an excellent comment (2 of them and now THREE) so it suits me just fine to have them remain. Since youâ€™re new, I will tell you this â€“ any topic on religion invites discussion. It is the touchiest subject on this site, and you will have to get a thicker skin if youâ€™re going to make it. I will not be the only one who will comment on things of this nature, and others will not be as courteous about it, I can assure you (one guy got death threats from some other religious fanatic). Let's get several things clear. St. Barbara's feast day is no longer observed, but that's less important than the fact that the only Christians in the time of St. Patrick were Catholics. During the time of Jesus they hadn't even THAT name yet -- they called their theology by a word that roughly translates into "The Way", not even "Christian". The real point, whether or not anyone likes it, was that NO ONE is a saint until it is decreed by an authority, whether that authority is ecclesiastical or, as it once was, from a sovereign. People may ACT in a SAINTLY manner or they may perceive religious revelation and mysticism in the way of saints, BUT they do not and CANNOT call themselves saints (I canâ€™t think of a single saint in his or her lifetime who ever opened a conversation with, â€œHi, Iâ€™m Saint So-And-Soâ€). ; Only a Church investigation and confirmation can pronounce someone as a saint. The artist analogy applies and is entirely accurate. That was my point â€“ it was obviously missed in its entirety. The nerd in me loves articles about interesting facts! Makes for a great water-cooler subject :) Good work! I will start with some simple (kinda) facts Saint Valentine is still officially on the list of saints but was removed from our liturgical veneration calendars in the late 60s (maybe early 70s-I am so in trouble for forgetting!). See, there was actually more than 1 St. Valentine and the Church actually couldn't separate and validate who was who. So.... Which St. Barbara? I am going out on a limb and guess you mean the Patron Saint of various armies (explosions, violent storms, anything really loud or that blew up)? She was also removed the year St. Valentine was. Sorry, I can NOT remember the year, but the Church did a house-cleaning sweep that year. I know this (about St. Barbara)for personal reasons. They are no longer saints, but they are still saints. Limbo. Deb: Yes, I was talking about that St. Barbara (of the tower whose father personally executed her after taking her off to the Roman praetor when she refused to submit to the pagan worship of the Emperor.) And I knew about the Valentine(s) confusion. I said what you said -- many saints are now off the calendar (no longer venerated -- some of that was done in the late 1960s but its an on-going process of review and relevance revision). I did not say any of them had been "de-canonized" (I don't even know if that can be done), but, again, my point was saints are made by the Church -- the title is conferred upon them, they don't get to be saints on their own say-so. You and I are on the same page. You replied before I finished my whole drawn out opinion LOL. (oops, I know you hate that!) It's not so much that some of them were "de-canonized" (is that really a word? duh!) as they were "discredited" or found to not actually exist. I said "demoted", don't know how else to put it. The whole "demoted" thing and the Santa analogy is the best I can come up with. It's a fine line, these saints are recognized, but they aren't. Sorry, that double posted. Please remove the duplicate post, Hilloyd! Actually, Vic, we aren't exactly on the same page. The Catholic Church did not "make" all the saints. They just went ahead and rubber-stamped all the saints that were declared a saint before the 15th century, until they started cleaning house in 69. There was a time that Mother Teresa would have been canonized before she was buried. You know what, she probably deserves sainthood more than quite a few of the recognized saints do! Had to look it up...it was 1969 when the Church stopped observing Holy Days for St. Valentine and St. Barbara (and many others). Are they still saints? Yes. Really? No. And it's really not cool that St, Christopher isn't a saint anymore! Kinda like Pluto not being a planet! (OK, enough tongue-in-cheek observations for now) Now, as for St. Patrick.... I am an Irish-American. The area I grew up in was mostly first or second generation Irish born on American soil. So, I am Irish and from Chicago. We have our own name (because we ROCK!!!). We are "Chirish". Look it up. Not only am I Chirish, I am from the south side AND catholic. You'd have to thoroughly understand the history of the Irish-Catholics in Chicago to know what that really means. I'm not just "talking trash" here, our families never let go of the motherland and we were raised to be able to land on our feet back "home" without missing a beat. That includes respecting where we started from (what some of you call Paganism)and how we got where we are today. That means acknowledging our "pagan roots" (I hate that term) and our catholic roots. Oh, it's drilled into us. Not just that, but the "issues" with England. I won't even get into it, but believe me, we were raised like we never left. Moving on... The "snakes" St. Pat drove from Ireland were actually the Druids. There haven't been snakes in Ireland since the first ice age-unless they arrived in someone's luggage! The closest they come to a snake is some large worm, I forget the name of it (Did I mention I am SO in trouble for forgetting this stuff? I am going to H-E-double hockey sticks). Snakes were a symbol of the Druids. St. Patrick IS on the official liturgical veneration calender. The Church did NOT begin the FORMAL CANONIZATION process until the 15th Century (ha! I remembered that!). Before that, it was a popular vote, so to speak. Now, when the Church looked everything over in 1969, St. Patrick obviously made the cut. There was historical evidence to support his existence, his work, life and eventual sainthood. Never mind his own writings. Was he formally canonized? Nope. Is he recognized and on the list of saints? Yeppers. Both Hilloyd and Vic are right, albeit from different perspectives and directions. I'm just adding a third voice based on what was drilled into my head as a Chirish-Catholic girl who is probably going to you-know-where cuz I forgot so many details that I shouldn't have! Yes, there are saints that were declared a saint before the official canonization process and were LATER deemed to be genuine. Others were completely discredited, or "demoted" in 1969 when the Catholic Church reviewed the list. Kind of like Santa--the "spirit" is there but not the actual-person-kinda-deal. Of course there are some who probably fell into it through political ties, familial ties or essentially "bought" sainthood. You have to remember the mentality back then was so different than it is now. I could have written an entire article but I find this type of exchange far more educational! I did double check a couple things, gotta double check. And remember, the Catholic Church's decisions don't even make sense to Catholics (whether practicing or "lapsed" Catholics-like me) half the time! I think the last point is very interesting. I wonder when he was added to the list. Wow--first to big thumbs for writing an article that has caused so much controversy. I enjoyed the article for two highly intellectual reasons: (1) I am half Irish and (2) I was once Catholic. As for me, the entire idea of caanonization is so pompously absrud that I give the thought a sardonic grin. When I was a kid I faithfully wore St. Christopher on a chain around my next, Then, the church said, WHOOPS, old Christopher never was. In any case, with all this in mind, I ive you five big stars for a darn interesting piece.